Users won't have to pay a $5 fee to get the new Ventra transit card. 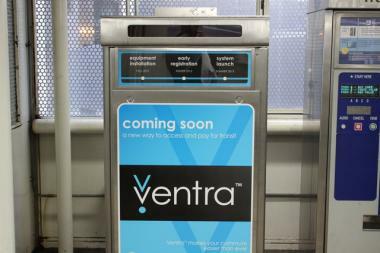 CHICAGO — CTA riders won't have to pony up $5 to get the Ventra transit card, one of a few changes the agency is making to the new payment set to be unveiled this summer. In another change, those using one of 1,000 Chicago-area Allpoint ATMs to add money to the cards using the debit option will no longer incur a surcharge. The new payment system has drawn harsh criticism, including from state legislators who criticized the plan for the fees users could rack up if they paid using the debit option. Other debit fees, including customer service charges and for those getting monthly paper statements, have been lowered but will continue to exist. After Ventra entirely replaces the current payment system in 2014, anyone who chooses to ride the 'L' using cash will have to pay $3 as opposed to the $2.25 base fare. CTA officials say that fee is intended to turn people toward the new cards, which will save the agency money.